Concerts, musicals and comedic acts to spice up your social calendar this festive season. In collaboration with the Embassy of Japan, the Malaysian Philharmonic Orchestra will welcome renowned violinist Akiko Suwanai for one night only to perform Brahmns violin concerto, Sarasate’s bold Zigeunerwisen and other timeless classics. This is your chance to watch The HandleBards in action: the world’s only cycling theatre company (they perform environmentally sustainable Shakespeare plays across the globe). This February, they’ll be presenting a comical all-male version of bard’s love-triangle comedy, Twelfth Night. This family-friendly production hosted by Gardner & Wife Theatre will take place at PJ Live Arts. Presented by Damansara Performing Arts Centre and Goethe Institut is this captivating multimedia performance by Germany-based group Manufaktur für aktuelle Musik (MAM), featuring their unique take on Arnold Schönberg’s celebrated masterpiece “Pierrot Lunaire”. Tickets are available here. Hosted by Damansara Performing Arts Centre, this free-admission spring festival will bring music lovers together in the spirit of CNY with 7 individual performing arts groups including the WVC Malaysia Jazz Ensemble, Kwang Tung Dance Company, Fresco Harmonica, Hands Percussion and more. Spaces are limited for 2pm and 5.30pm shows, so reserve your spot by calling 03-4065 0001 or clicking here. 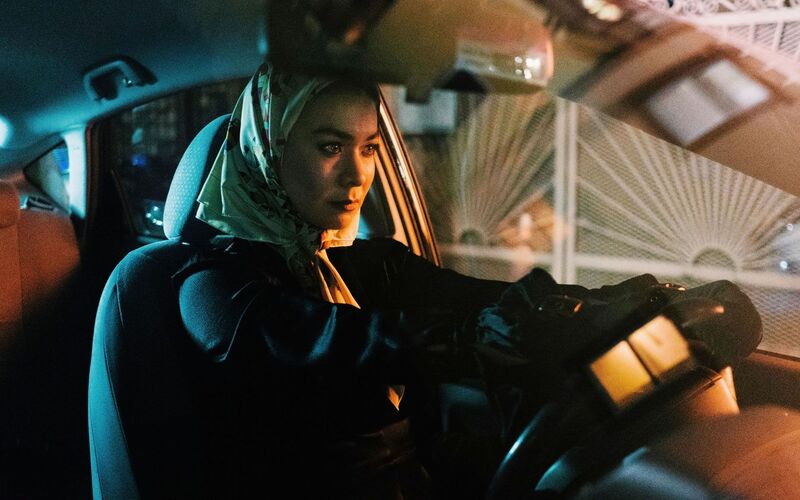 One of indie rock’s up and coming names, Mitski will perform in Kuala Lumpur for the first time to promote her 5th album, Be the Cowboy. Don’t miss the Japanese-American singer’s performance at The Bee this February. Tickets are available here. If you missed OlaBola’s hugely successful debut in 2018, now’s your chance to see this hit musical again at Istana Budaya’s Panggung Sari from February 18 till early March at show times 1.45pm and 8pm. Directed by Puan Sri Tiara Jacquelina, OlaBola The Musical stars Iedil Putra, Brian Chan, Tony Eussof, Abi Manyu, Douglas Lim, Altimet and more. Tickets can be purchased here. Renowned Malaysian artist Ivan Lam draws the line between existence and illusion of absolute reality in this compelling series of 9 still life oil-paintings. FAUX will be open to the public this February from Tuesdays to Sundays (11am to 7pm) at Wei-Ling Contemporary. One of Southeast Asia’s leading comedians is turning 50 this year! As expected, Singapore's Kumar will celebrate the occasion with a nationwide tour across 8 major cities in Malaysia, starting at HGH Convention Centre, Kuala Lumpur. Featuring all new material presented in Kumar’s biting humour and wit, KumarFifty50 is a must-see for Kumar fans everywhere. The Sydney-based alternative-pop trio comprising multi-instrumentalists Cameron Robertson and Joseph Wenceslao as well as vocalist Karina Wykes has toured with Clean Bandit and LANY in sold-out shows across Australia, bringing the synth and electronic pop beats of their TO LOVE YOU tour to Malaysia this month. Tickets can be purchased here. Get ready for an star-studded line-up of DJ’s at Zouk Genting this February as DJ Zushan (from Zouk Singapore), DJ Markus Schulz, DJ Ferry Corsten and Malaysia’s own BATE electrify the dance floor with their epic beats. Make your reservation by calling 019-390 3738 or visiting www.zoukgenting.com.